When I lived in Albany I used to get into the Adirondacks at all seasons. After all, it was only a couple of hours north of my house. Now that I live in New York City I rarely manage to make it that far north and when I do it tends to be winter, which is kind of odd. My string of winter-only visits to the Adirondacks is over now, happily, because of a three-day weekend with the family in Montreal. Wait, what? Montreal, while far to the north of New York City, is in Canada, which is certainly not the Adirondacks. I commend you, geographically-literate reader, but would also like to remind you that the Adirondacks are on the way to Montreal from New York City, and the long ride from the southern end of New York State to the capitol of Francophone Canada is best done in two segments. 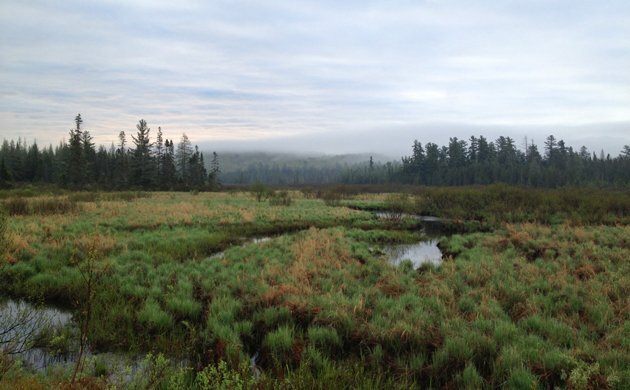 That means that we (me, Daisy, her mother, and Desi) spent Friday evening driving north to the charming town of Saranac Lake, in the heart of the Adirondacks, and I spent the very early morning hours exploring Bloomingdale Bog while everyone else was asleep. How early was I out in the bog? Well, I was amazed to hear an American Bittern booming away at the break of dawn. That was a pleasant surprise! 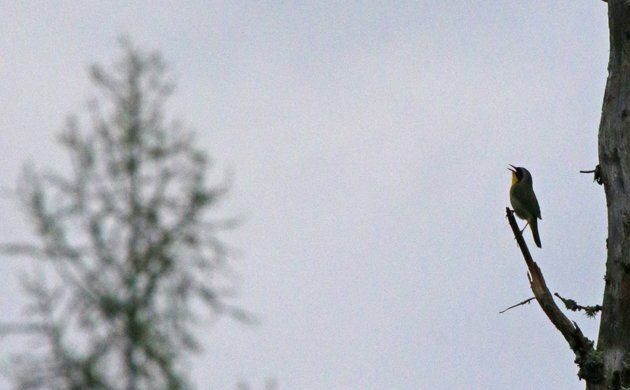 Do flycatchers sing about beer because otherwise they can’t find a mate? Even better then drunken flycatchers was the trio of Gray Jays that flew in looking for a handout. I had nothing to offer so they moved on pretty quickly, but not before I managed to get a decent shot or three. 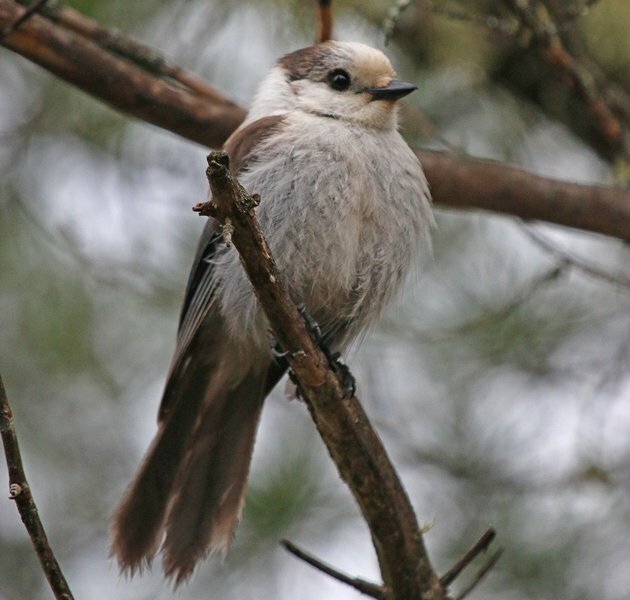 It was nice to see Gray Jays without snow on the ground. 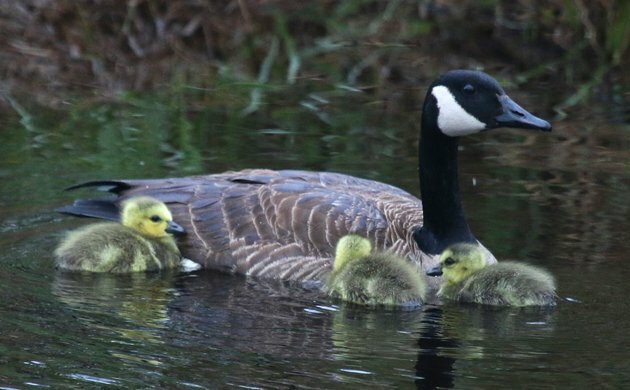 In one of the few areas with a decent amount of open water I was surprised to see Canada Geese with young. Sure, we’ve had goslings around in the southern part of the state for over a month but I wouldn’t think that they would have young so far north in May. Shows what I know about when birds breed. Aaaawwww…the cutesy wootsy widdle goswings. Aaawww…. I wanted to make sure I got back to the hotel while everyone was still slumbering so I quickly made my way back to my car, but not without hearing a distant Black-backed Woodpecker drumming which forced me to find it, which I did, though it was perhaps the least satisfying look at a Black-backed Woodpecker in the history of the universe. Instead of sharing that monstrosity, I’ll share a nice Common Yellowthroat. I managed to get back to the hotel before everyone was awake, which was good. Even better was the giant breakfast we ate. In fact, we ate so much that we decided that we had better get Desi some exercise to work off the sugar rush that all the maple syrup he ate on his pancakes would cause. How convenient is it that there are nice trails at Bloomingdale Bog for us to walk, and that it is just off of Route 3, which was our intended way to Plattsburgh and then Montreal? 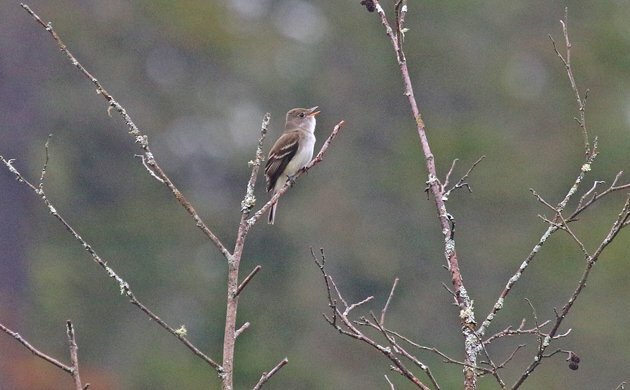 This time, I got my Olive-sided Flycatcher, though Daisy deserves the credit for spotting the silent bird. This post is just chock full o’ good pictures, huh? 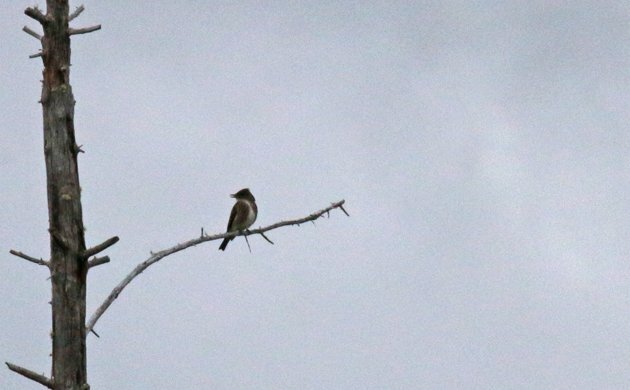 More important than the flycatcher was the fact that we got back to the car with moments to spare before the downpour. That was close! 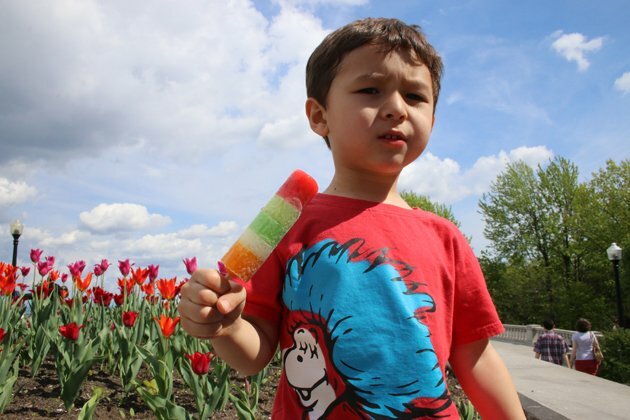 Not only that but all of the exersize that Desi got meant that once we reached Montreal we could let him have a popsicle without worrying about the sugar monster coming out. Sweet!